Without question, this is the most satisfying goal I have ever completed. As I write this, I have a smile on my face thinking about my amazing experience. 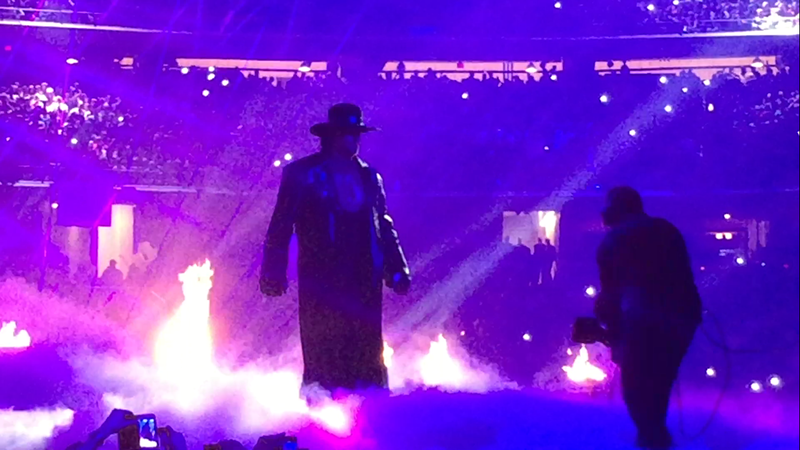 Before I get to the actual WrestleMania event on Sunday, I want to describe the days leading up to it. I arrived in Dallas on Thursday. I did some sightseeing. 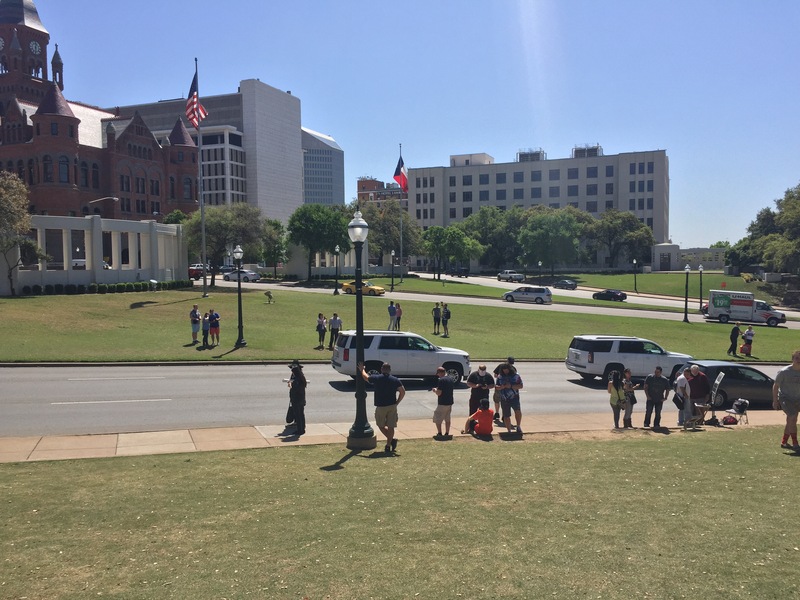 I visited Dealey Plaza (where JFK was assassinated) and went to the Sixth Floor Museum. It’s a must-see when visiting Dallas. 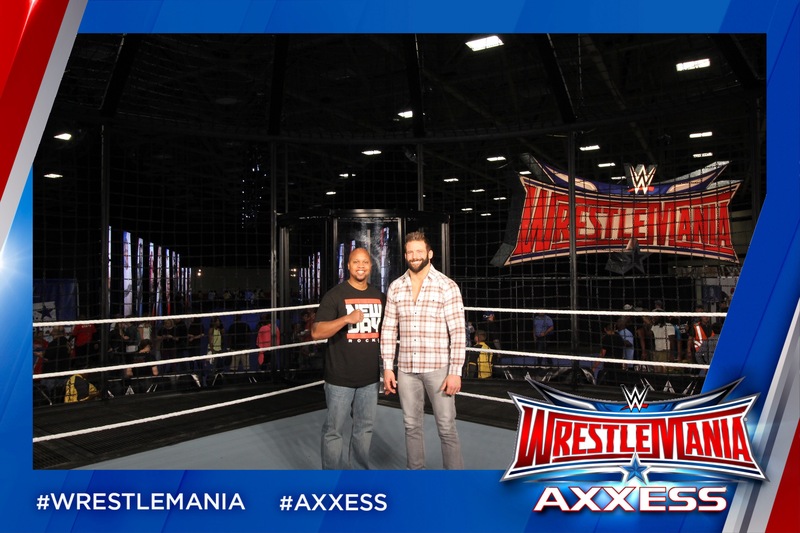 After my brief tour, I went to WWE Axxess, which is the ultimate fan experience. 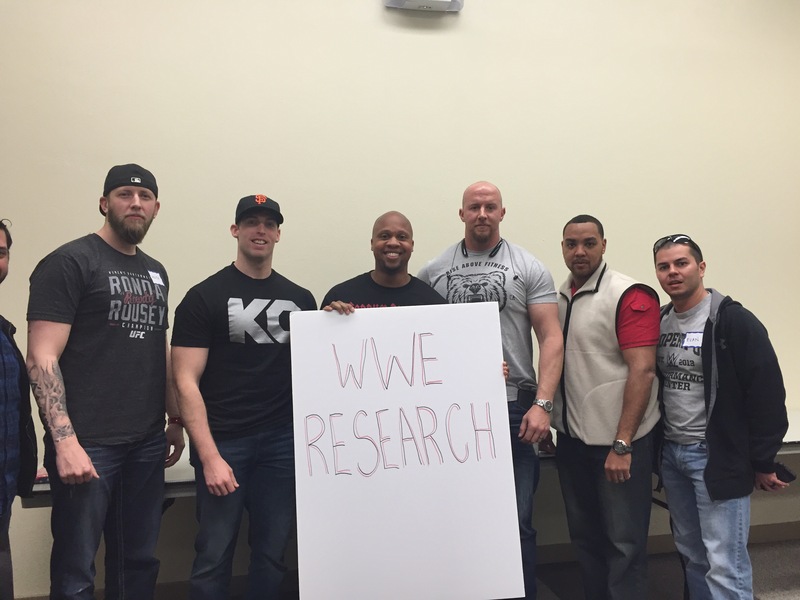 It’s a place where you get to meet certain WWE superstars, see props used during WWE shows, and see live matches. It’s incredible. What makes it even more amazing is that you’re around super fans and the energy is unreal. What a moment! 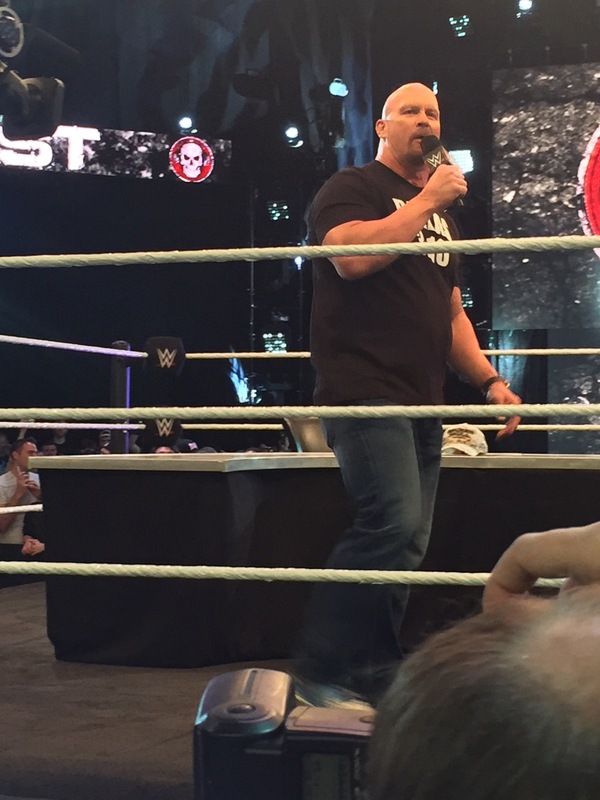 I also got to see a live taping of the Stone Cold Steve Austin podcast. Awesome stuff. Friday was a day of non-stop wrestling-related activities. 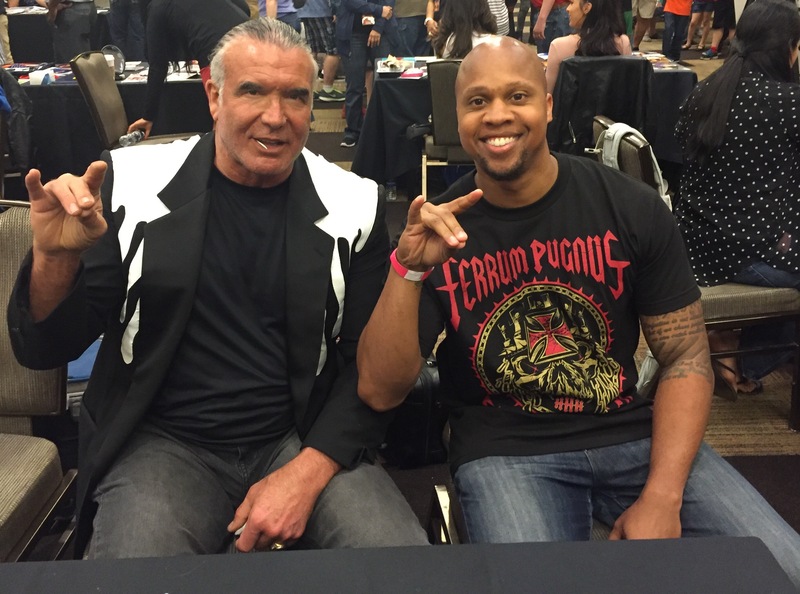 I attended WrestleCon which is similar to a Super Signing. 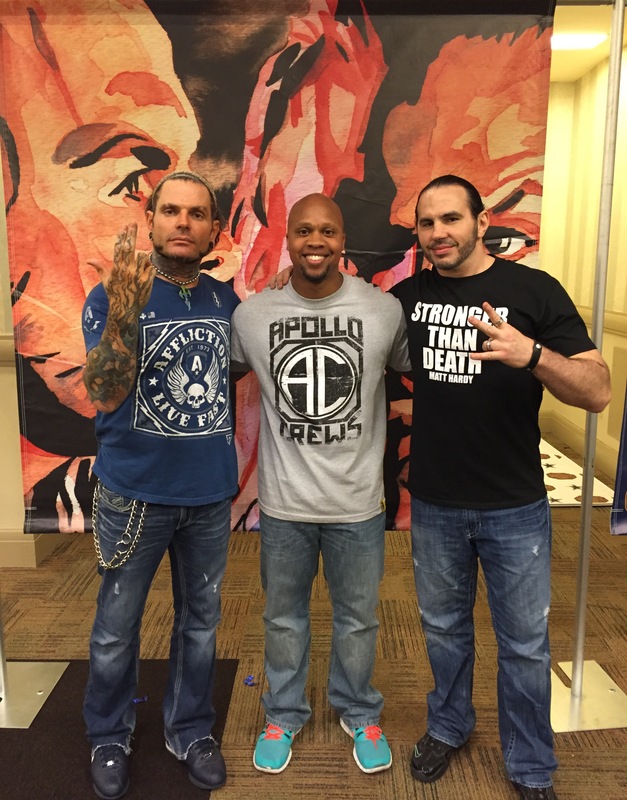 Tons of wrestlers were there signing autographs, taking pictures, performing, and answering questions. That night, WWE hosted an event called NXT Takeover and it was undoubtedly the best live wrestling show I have ever attended. 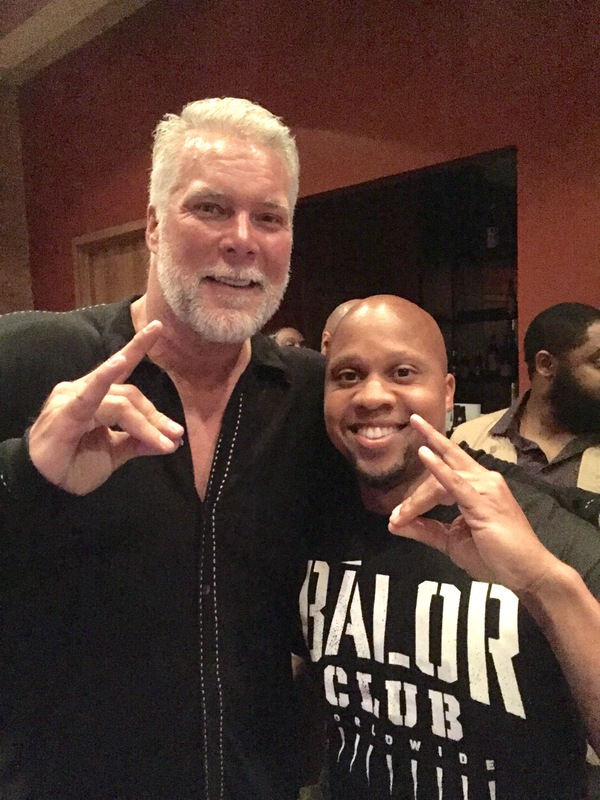 After NXT, I attended The Kevin Nash VIP party where I got to hang out with him and other wrestling stars. I also met Peter Rosenberg, a radio personality I’ve been a fan of for at least ten years (no picture). Later, I went back to WrestleCon and met Scott Hall. Sunday was the big day! I decided to go out to eat in the morning and reflect on how long it had taken me to get to this moment. A dream of mine was about to come true! I bought a pass that included a bus pick-up and stadium drop-off. I’m so happy I did. 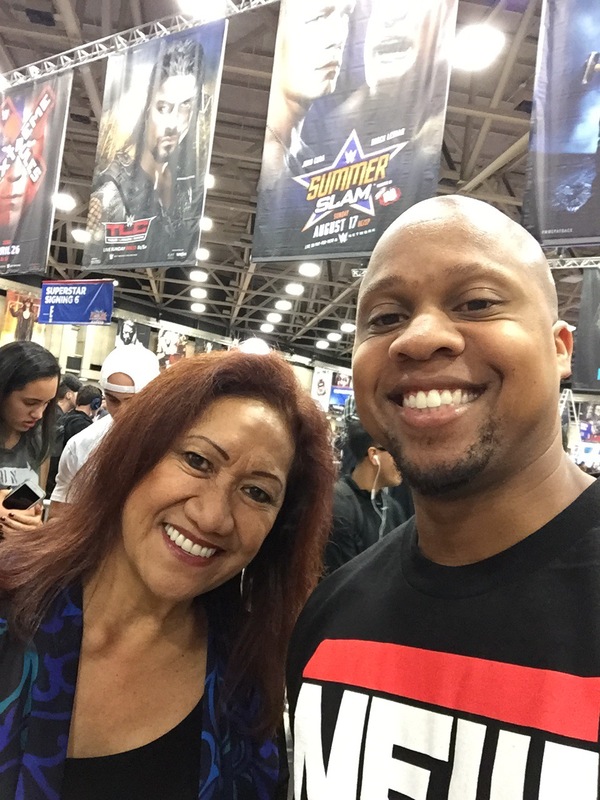 A big shout out to the WrestleCon crew for making this very simple and easy. 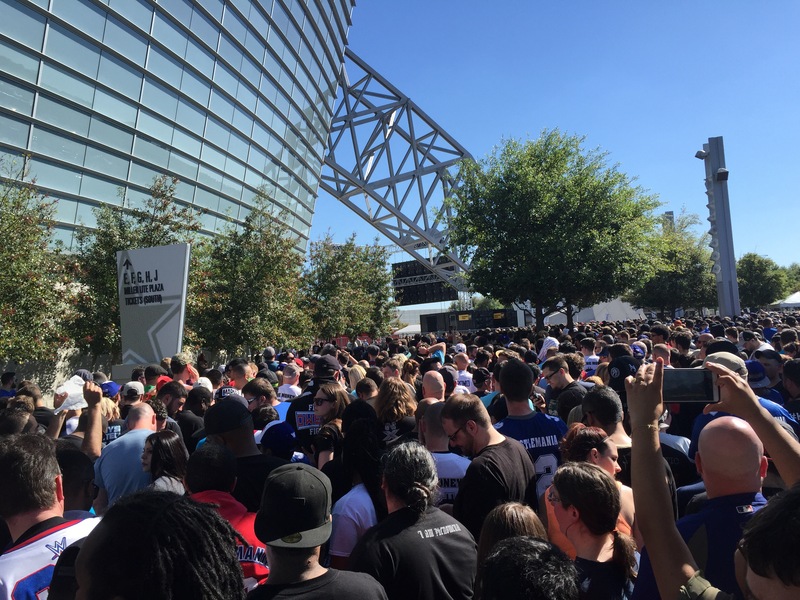 Something I can’t say for the logistical nightmare that was AT&T Stadium. Everything was going fantastic until we got to the stadium. I arrived two and half hours early, but sat in my seat inside with only seven minutes to spare! 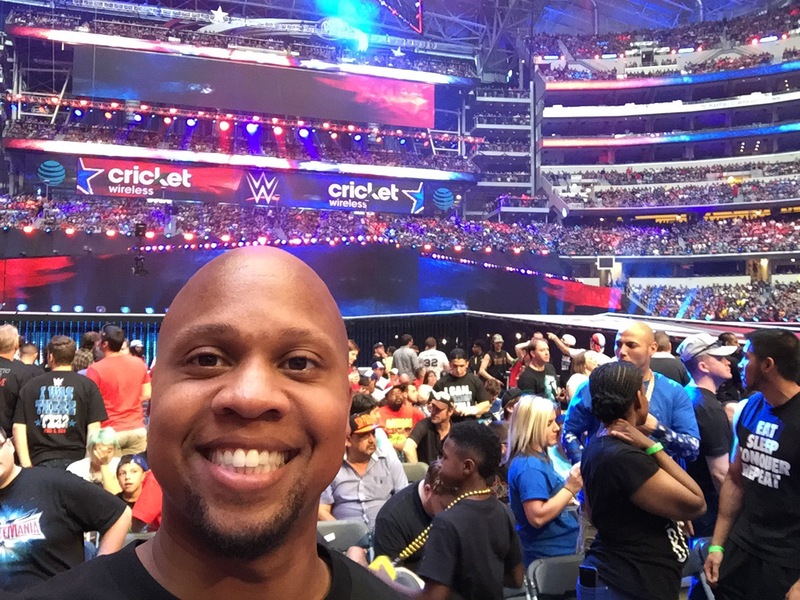 I missed all of the pre-show matches because, to make a really long story short, it didn’t appear that the AT&T staff knew what they were doing. The wifi went down (the irony: it’s AT&T stadium) so thousands of people were aimlessly queuing outside without any movement, which by the way, was a total safety hazard, contradicting directions about every step of the way, and refusal to let me leave with my commemorative chair because it wasn’t tagged (yet a bunch of people left with theirs before me). It was an absolute joke. 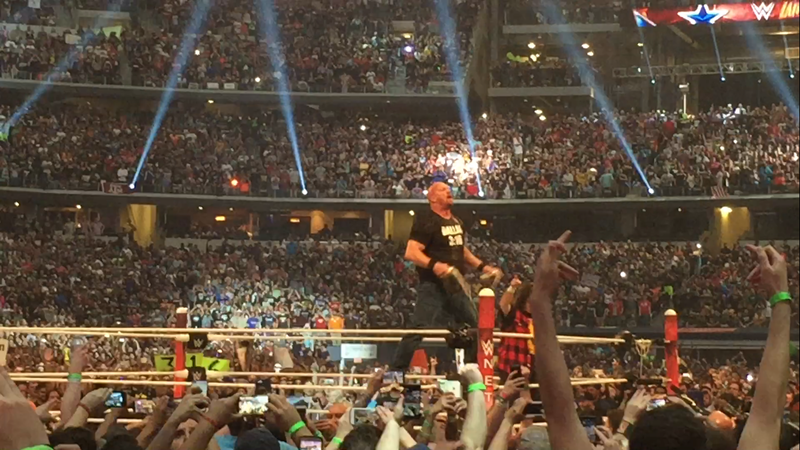 But as bad as the stadium experience was, nothing took away from how amazing WrestleMania itself was. My seat was incredible (thank you, Lyssa, for my birthday/Christmas present). The spectacle of the entire event was something that I will never forget. AND, I got to see The Rock up close again. I’m so close to, yet so far away from, meeting him! This was a dream of mine that came true. I am one lucky person.